East Africa's raptors are threatened by a rapidly increasing human population. Over the last three decades, numbers and diversity of wildlife have dramatically declined as a result of destruction of forests, agricultural intensification, livestock overgrazing, and indiscriminate use of pesticides as poisons. Although human influences have had negative impacts for raptors, we also have the opportunity to solve these problems. The Peregrine Fund is working throughout East Africa to save species from extinction. 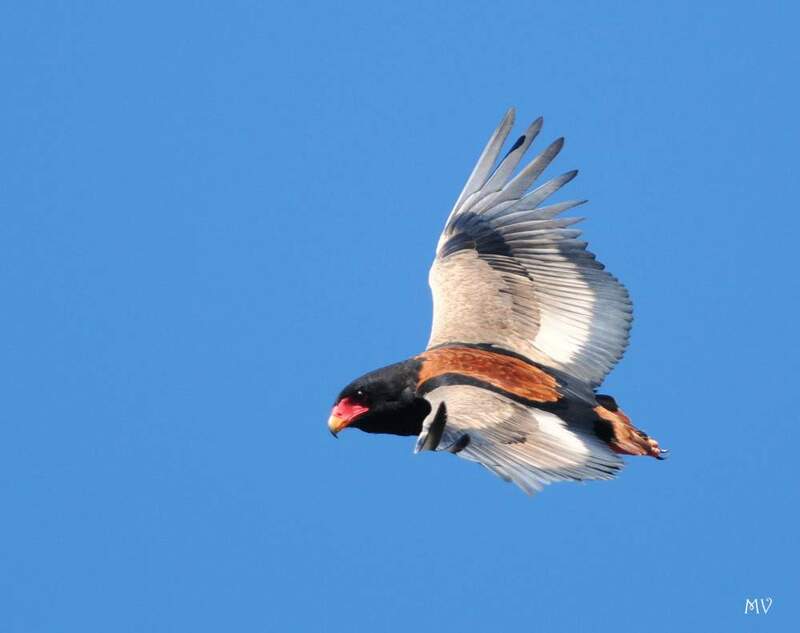 A Bateleur Eagle in flight. Build local capacity for conservation and research through student training and support of research focused on birds of prey and their ecological needs. Increase public understanding, especially among local communities, about the need to conserve birds of prey and their habitats. 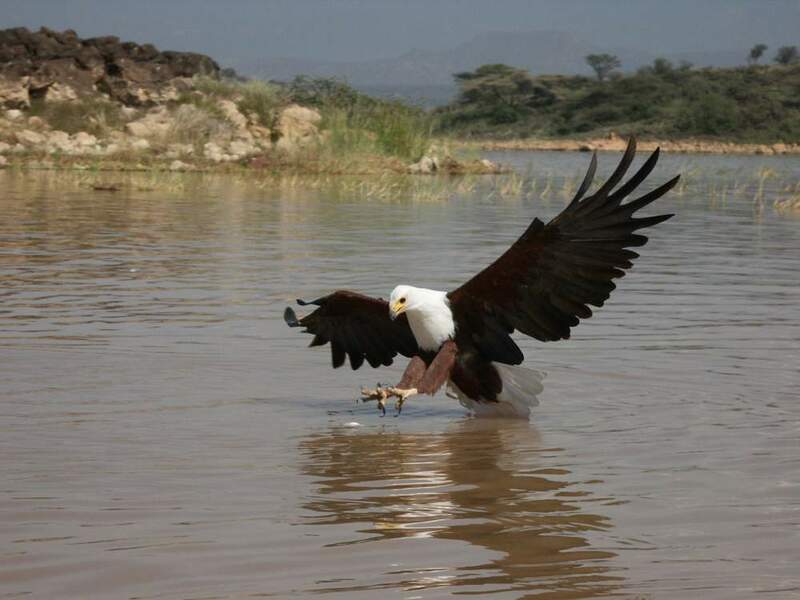 An African Fish Eagle catches a fish. 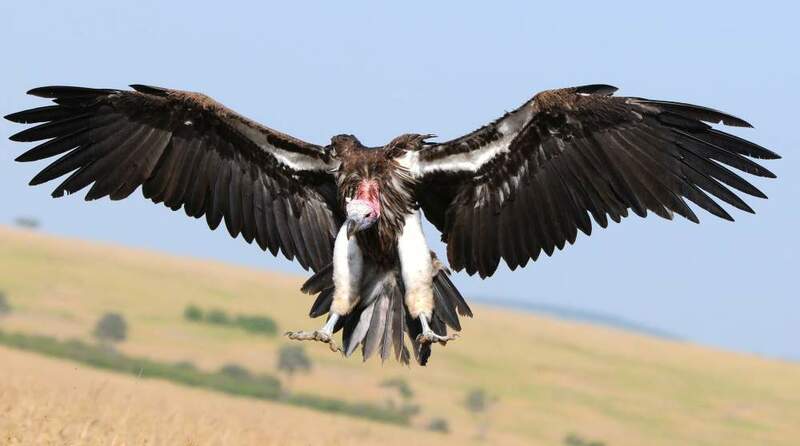 Over the last two decades, we have regularly monitored African Fish Eagles and Augur Buzzards at Lake Naivasha in Kenya to understand how habitat change is affecting their population dynamics. African Fish Eagle numbers are highly correlated with increasing lake levels while the number of Augur Buzzard territories has declined by 60% since 1995, primarily as a result of loss of foraging ground. Vultures are often under-appreciated. They’re also under studied. Most importantly, many vulture populations are collapsing. Vultures are found in almost every terrestrial ecosystem on our planet. They fill a specific niche and have a special function as scavengers. Vultures prevent carcasses of dead animals from piling up and becoming a hub for spread of diseases that can cause us or our livestock to become sick. The Peregrine Fund is working tirelessly around the globe to save vultures from extinction. 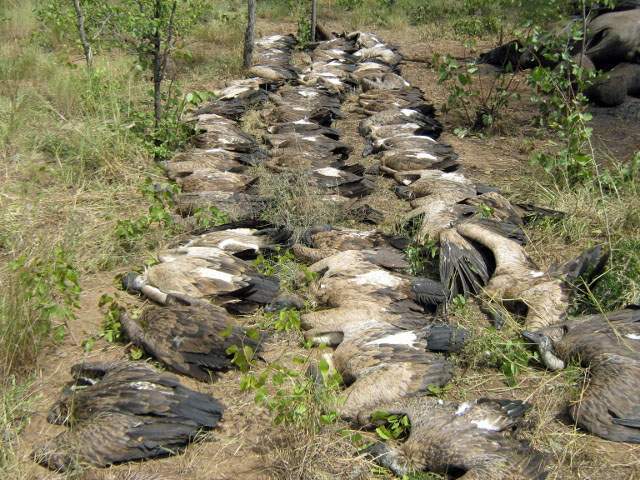 The situation in Africa is particularly dire where vultures are dying from poisoning at rates that exceed their reproductive capacity. In just three generations, the populations of seven species of African vulture have declined by at least 80%, and in 2015 four species were up-listed to Critically Endangered and two species to Endangered status. Watch our biologists at work conserving African Vultures in Kenya! 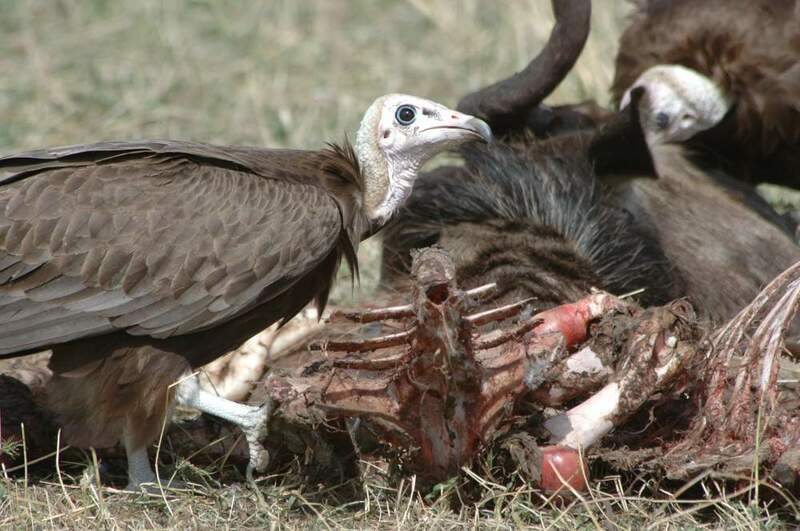 Vultures are often inadvertently poisoned when farmers bait carcasses to kill lions and hyenas that have attacked their livestock. Vultures are also deliberately poisoned by poachers to hide their crime from authorities who might see vultures circling over a poached elephant or rhino. Each poisoning event may kill dozens of avian scavengers including eagles like the Tawny Eagle and Bateleur, as well as lions, hyenas, jackals and other species. The Peregrine Fund is launching a plan to put an end to poisoning of wildlife in Africa through development of a network of specially trained conservancy rangers, partner wildlife, humanitarian, and advocacy NGOs, and first-responders to provide swift response to poisoning incidents. increase capacity of field-based workers to collect data on threatened birds. With help from the San Diego Zoo, we have begun tracking vultures tagged with satellite transmitters as they forage and breed across their range in northern Kenya. Data collected will reveal poisoning hot-spots, vulture survival, and important breeding and foraging areas for conservation focus. 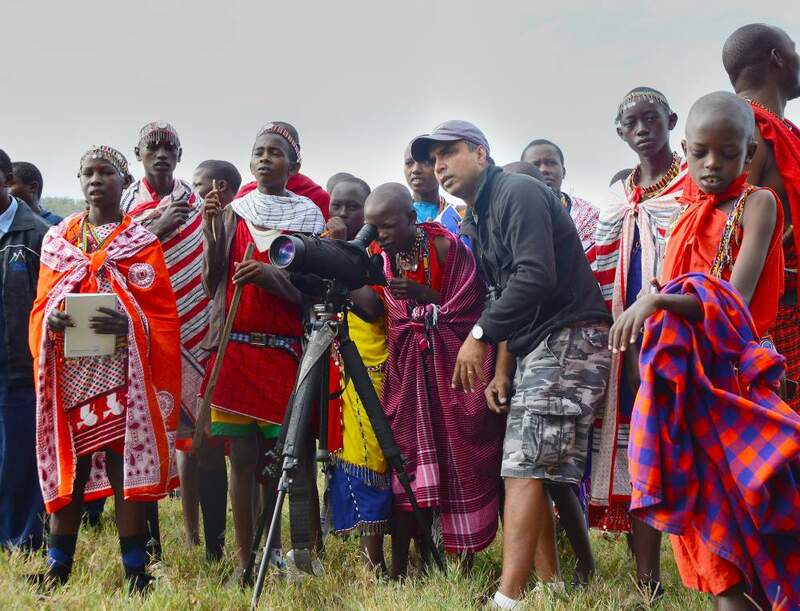 With support from the Disney Conservation Fund, we have launched our Maasai Mentors for Vulture Conservation Project. This program has recruited 16 Maasai teenagers aged 13 to 15, with the help of supportive Maasai mentors, to undertake vulture conservation and outreach activities as well as to inspire them to appreciate the value of vultures and intact ecosystems for future sustainability. The mentees, selected from four areas in southern Kenya where poisoning of carnivores and vultures is rife, have reached out to their schools and communities to foster involvement and increase local knowledge to facilitate a shift in Maasai attitudes towards appreciating vultures and the ecosystem services that they provide. 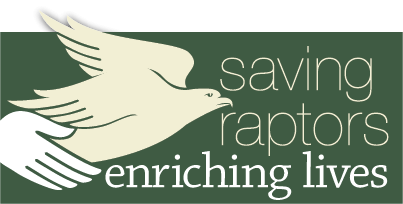 In partnership with HabitatInfo and others, we are helping to build a network of organizations and individuals to collect contemporary data on raptors across the entire continent of Africa. Geographic information system models are used to mine this data for evidence of change in populations size and conservation status so that preventive action can be taken early and often.. It was data from this project that helped justify the up-listing of six African vulture species in 2015 which has now focused much more conservation effort on them.